I basically see two types of portrait painting categories (that’s a Joke, there are a million types). – First type is a form of documenting who the person is and what they look like. This is the Queen, or Mom and Dad on the couch, my cute smiling granddaughter, Johnny holding a fish, etc. Don’t get me wrong, these are all great subjects but don’t necessarily make compelling painted portraits..
– Second type is a more artistic subject, a painting anyone would like. Think of the work of the Masters. You don’t know the subject’s name, you just love looking at the painting! And by looking you want to stare and study it. Your eye is led around the painting. This is in contrast to looking at a painting and getting all the info you need in less than 1 minute and moving on! Right now, for me, I feel the formula for art is first getting an Interesting Subject, and then following the Classic Rules of Composition. Think of GREAT portraits that stand out in your memory. When you looked at them did they tell you something? Could you write a story about it? You might think, hmmm what was the person thinking? Or what is going to happen next? Did the person’s expression convey a mood or in contrast did it just say “Look at me”, “this is what I look like”, and nothing more? Most always they are not smiling. Many of the graduation photos taken today are interesting, the same is true with wedding photography. Although they may be posed, the poses are less rigid and more candid looking. Not having to worry about the cost of film and developing, digital photography has allowed photographers to capture more angles and candid moments and expressions of their subjects. The candid shots are the ones that capture the essence of the person/people, and are the ones that are most interesting to look at. Often these are the photos in which the person(s) are NOT looking at the camera and make you think, “Hmmm?”. (One thing to note is these professional photos are often shot with very soft light. This lighting is flattering but make a poor reference without side shadows.) Check out Danny Santos, Very interesting photos! His signature poses are a bit boring for a portrait, looking straight into the lens and his lighting is natural, soft, and flat, but still worth the look to appreciate! At the bottom is a link to an interesting article on asking strangers permission. Here is another of Danny Santos where he discusses how he photograph strangers. Tips to improving reference photos. Today’s cell phone cameras are very good and can be used to take excellent reference photos to paint. Even if you love the first type of painting I mentioned there are still tips to follow to improve the person’s image. Lighting. Capturing the essence of the person/people you’re photographing by using natural light or lighting from the side. In other words… DON’T use the on-camera flash (or try not to) because it creates a flat image which is very difficult to paint. Soft sidelight is best as oppose to harsh direct sunlight. Elements of an interesting reference photo. Try to avoid having your subjects look directly at the camera (for every shot). Capture your subject in action doing something. For example, think about kids sitting on the floor playing with a toy. Get down to their level and take the photo without asking the child to look at the camera. And again use the natural (side) light in the space. Just snap away, eventually they will get bored looking at you and you might get the natural/candid shot that is the keeper! Other examples include kids sitting in a chair, playing, leaning on something, or parents doing something they love, knitting, reading… As you take the photos, move around to capture different angles of your subject. 3. 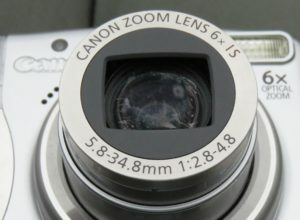 A CLEAN CAMERA LENS!!! If the camera lens or cell phone lens is dirty or full of fingerprints the photo will look smudged and serve as a poor base for your painting. ALWAYS CLEAN YOUR LENS!!! 4. Be aware of Lens Distortion. When you use a point and shoot camera (or phone) and are close to the person their face may be distorted / bulged. It may be very subtle. You don’t want to paint from a reference photo which has fish-eye distortion. 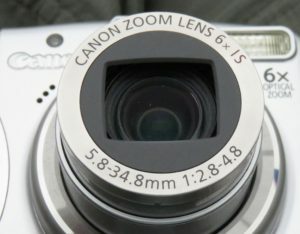 For example images, search the web for the words “lens distortion”. As the portraitist who doesn’t personally know the subject it is extremely helpful to have as many photos of the subject as possible. That is why artists want to paint from life. Seeing expressions change is important. Remember if you want a copy just print the photo. Do you have a great image right now that you would like to paint or have me paint? You need the photographer’s permission to use any photo you did not personally take. The actual photographer owns that image! Examples are grad or formal photos, weddings, portraits, etc. Check with the photographer, nowadays they may provide this permission with the cost of photography so it shouldn’t be an issue. As the artist ensure you have permission!!! One thing to keep in mind is the photographer owns the image but they don’t own the pose. You may be able to recreate the pose for your use. Same is true if you find a pose you like on the web, you can pose your subject and the image is yours! There are many rules, laws and opinions to be considered such as when, if, and where you can photograph people or children without permission. I am no lawyer but I want to do what is right within the law. If interested, there is a lot on copyright to search for on the internet. See my article on Model Releases and Copyright for some key words to search.